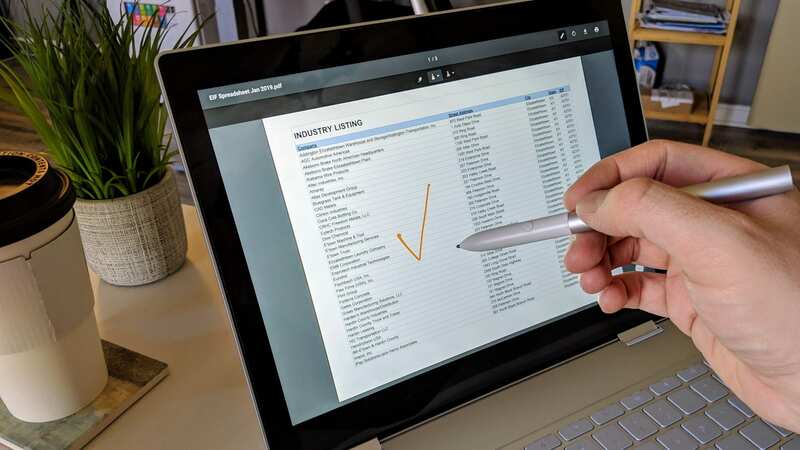 Near the end of 2018 we reported on a new feature that was coming to Chromebooks: PDF Annotation baked into the browser. The entire project is based around a new software library from Google simply called Ink. This software library is basically a set of tools to enable Google Apps to leverage writing tools in multiple scenarios. The best part about all of this going live is the fact that it is all web-based and doesn’t require any plugins, downloads, or installations. If you are in the Dev Channel of Chrome OS and enable this flag (chrome://flags/#pdf-annotations), after a restart you’ll be able to mark up your PDFs right in your browser tab. Once enabled, an additional pencil icon is present in your PDF view and that will enable the notation experience. The tools are simple: an eraser, a pen, and a highlighter each with 28 colors to choose from and 8 pen tip sizes. It is plenty to fill out a form or highlight errors/corrections to send back to someone after a review. After you’ve made your marks you can hit the download button and turn right around and share your newly-marked document with whoever needs it. I’m often surprised by how many times I end up using Squid to mark up PDFs in my day job. I honestly keep Android apps around for Squid and just a few others, so this really gets me back to the place where I can simply turn off Android apps if I choose to as my other Android apps are not really necessary. There’s just something about running Chrome OS cleanly with web services only, but that’s a discussion for another time! If you are in the Dev Channel of Chrome OS, feel free to give this a go. It works pretty well for what it is, but I’m hoping it gets a bit more responsive in the coming weeks and months. There’s a slight lag in the pen input and I’d love to see that fully cleaned up, mainly because it would mean the Chrome version of Keep might finally get a truly lag-free inking experience that has been promised since pens made their debut on Chrome OS.